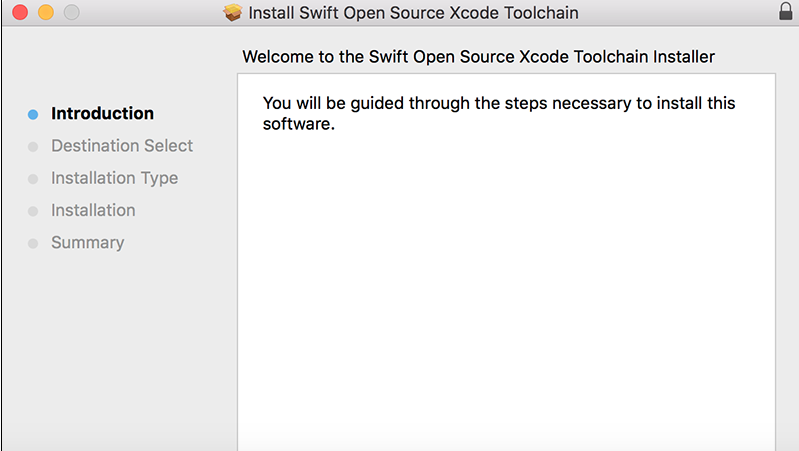 Home » Software Development » Blog » Installation of Software » How To Install Swift? Swift is a programming language that is used to build applications with good performance, security, and software design patterns. It has a lot of features that make code easier to read and write. It is one of the best languages to develop mobile and desktop applications. It is mainly developed to make the life of developers easy with new features. Swift was designed and developed by Apple Inc. It first appeared in the year 2014. It is based on static, strong and inferred typing discipline. The file name extension of the file is ‘.swift’. It has widespread late binding and extensible programming features. In swift, there is no need of putting a semicolon (;) at the end of each statement, no header files are required, it requires type inference. Swift is a generic programming language. It is platform independent and does support many platforms. It does support categories and methods which can be used to extend the classes at runtime. It uses interfaces to support multiple inheritances. Fast and concise iteration over range or collection. The other feature for swift is safety. It was designed to be safer than other languages and to eliminate the other unsafe code. It helps in managing the memory automatically. It is tuned to make it easy to define the intent. The important feature is that swift object cannot be nil otherwise it throws compile time error. It makes the coding easier, cleaner and safer and prevents the run time crashes. It is being referred to as the protocol-oriented programming as well. 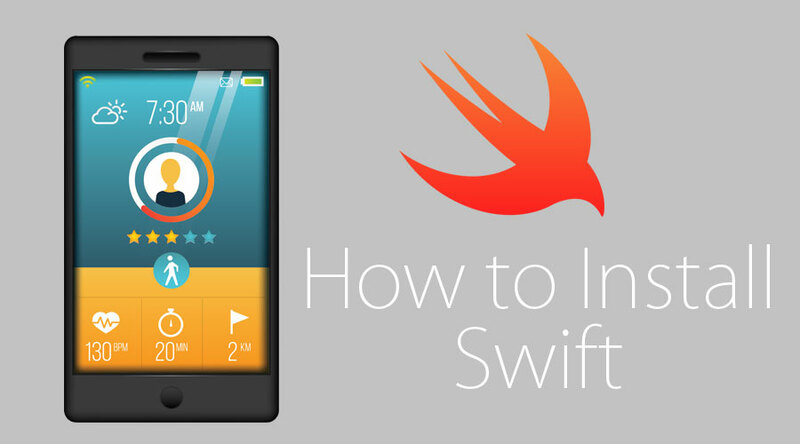 The swift is open source and easily available as the code is easily available on GITHUB. 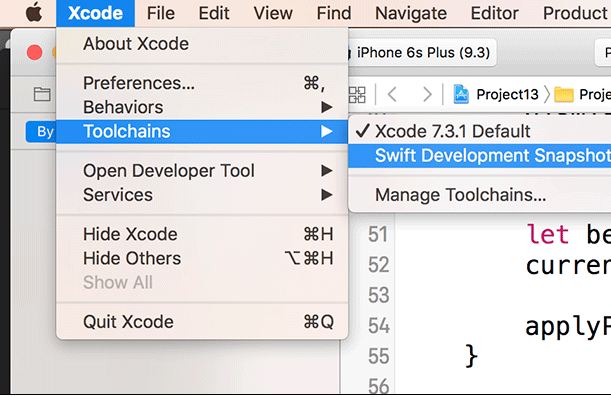 It is being maintained by the larger community support of swift developers and continues increasing the performance of swift. The most exciting thing about swift is it is open to any platform, means it can be ported across the wide range of platforms and devices. In Swift, it supports strings fully with Unicode. There is no exception handling, it has its own different compatible model for handling errors. In swift, the enumeration classes can have data associated with it and the new operators can be defined for the classes or operators can be redefined. There is no need to use the break statement in switch blocks. The variables and constants are always initialized and checked the bound arrays. The swift code should be written in a safe manner. The swift makes it strict safety for the developer to write the code in a proper manner and as per the standards of the programming language. It is developed to replace the objective-c language and C language. It is comparable to the languages in terms of performance for most of the tasks. It is being observed that swift performance is predictable and consistent. It is fast and quick. Its applications are getting loaded at a faster rate. Swift code is more expressive and easy to read and use. It is easy to learn with modern features to use. It is getting better and better over the years with its latest versions. The swift is the widely used programming language for the developers. It is easily available and to use. It has modern features with its latest versions to do the programming for the different types of application to provide the features to the user. It is easy to learn for the individual knows C language. It has a great online community and good documentation on the official site for the latest version and use of features. It is being explained very well and the continuous support of third-party libraries. 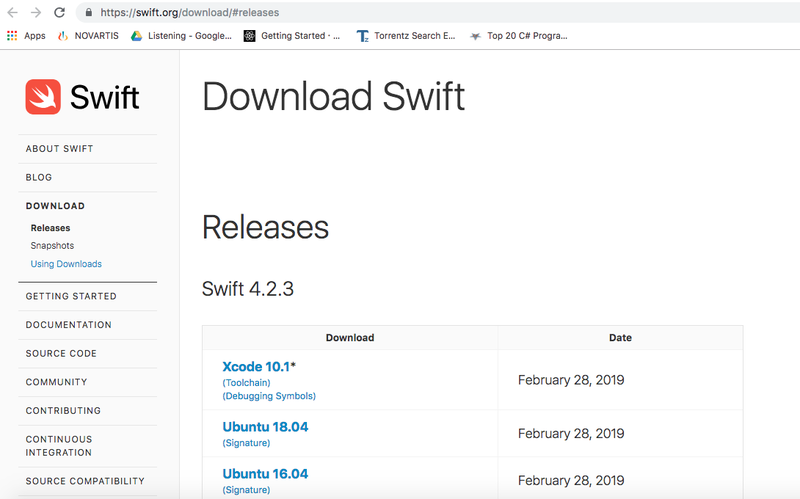 The details about the installation of Swift have been provided above to install it in a quick manner and start developing an application.